Dubai: All schools in the UAE will be closed on Tuesday, the Ministry of Education announced on Sunday on its social media accounts. The announcement also said that on Monday, all public schools in Dubai and Sharjah, in addition to some private schools in the two emirates, will also remain closed. No reason for the holidays was mentioned in the announcement. However, some schools are citing the official visit of Pope Francis to Abu Dhabi, which lasts from Sunday to Tuesday, as their reason for not holding classes. GEMS Education, the UAE’s biggest private school group with some 50 schools, said on Twitter that its schools in Dubai will be closed on Monday and Tuesday “for the Papal visit”. 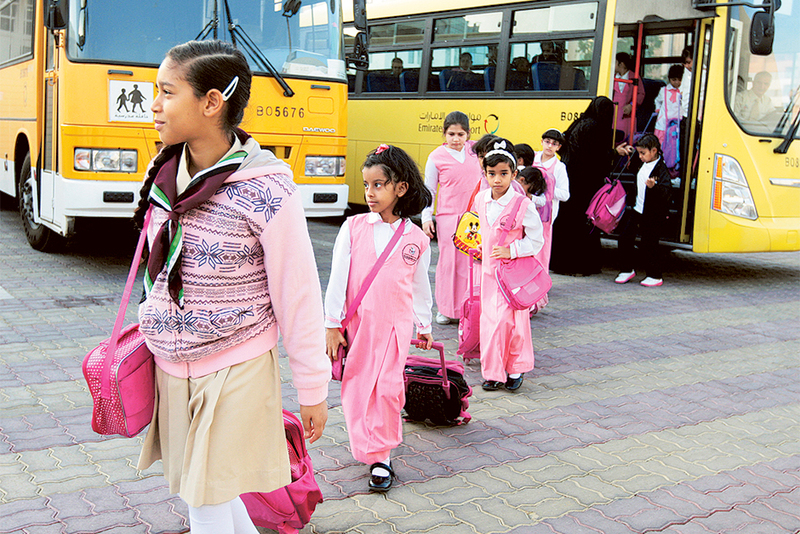 It also tweeted that on Tuesday all its schools in other emirates will also be closed for the same reason. Monday also marks the start of the board exam season for grades 10 and 12 in the CBSE curriculum of India. Sunday’s announcement had left parents wondering about the scheduling of CBSE exams or internal school tests. GEMS Our Own High School in Al Warqa’a, Dubai, sent a circular to parents on Sunday stating that “board practicals” for grade 12 would “continue as normal on Monday”, while board practicals for Tuesday would be rescheduled for February 10.